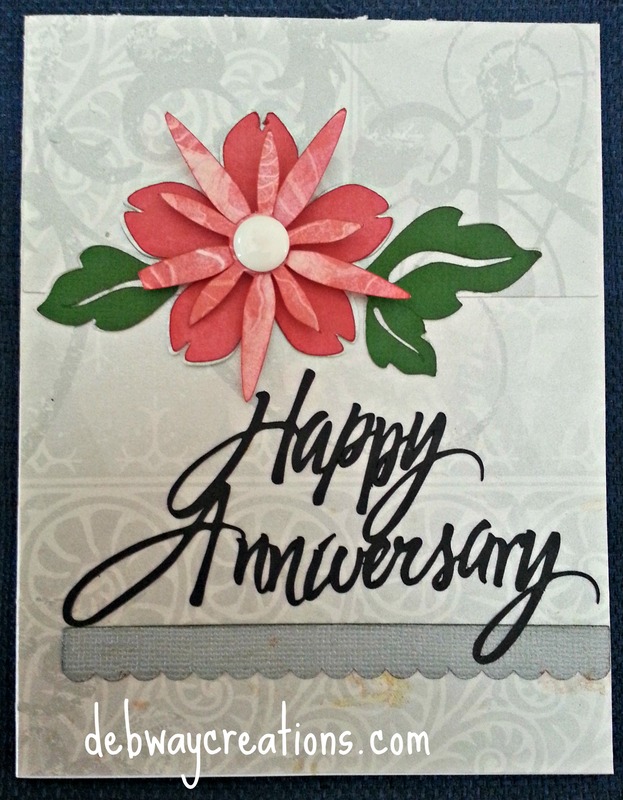 Today I am posting an Anniversary Card I made for my daughter and son-in-law. Tomorrow is their 6th anniversary. It is hard to believe 6 years already. So much has changed- all good. They now have 2 beautiful children and a new house. The card is an A2 size. The file is from the Silhouette on-line store. It originally had thank you as the sentiment. I changed it to Happy Anniversary. I used paper from a wedding pad I bought at Michaels awhile ago. I inked the edges with Tim Holtz distress ink. I made an extra copy of the flower for the inside of the card. 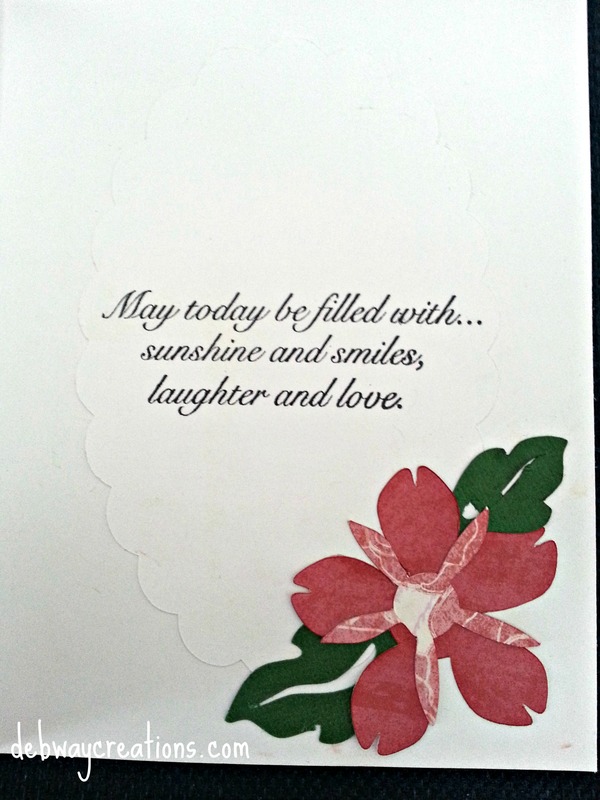 The inside sentiment is from a Pink Stamper set. Thanks and Congrats to you on Michael’s graduation!!!!!!! Amy @ http://alllthingsbeautiful.blogspot.com/2014/05/feature-friday-5302014.html Thanks for the shout out! I really enjoy your blog and all your great inspiration. Isn’t OWH the best?